TPC member G. Willow Wilson is the author of books with and without pictures. From her memoir of life in Egypt, Butterfly Mosque, to her award winning graphic novels like Cairo and Air, Willow is known for introducing readers to stories and experiences that don’t often make the American spotlight. Her first novel, Alif the Unseen won the 2013 World Fantasy Award. 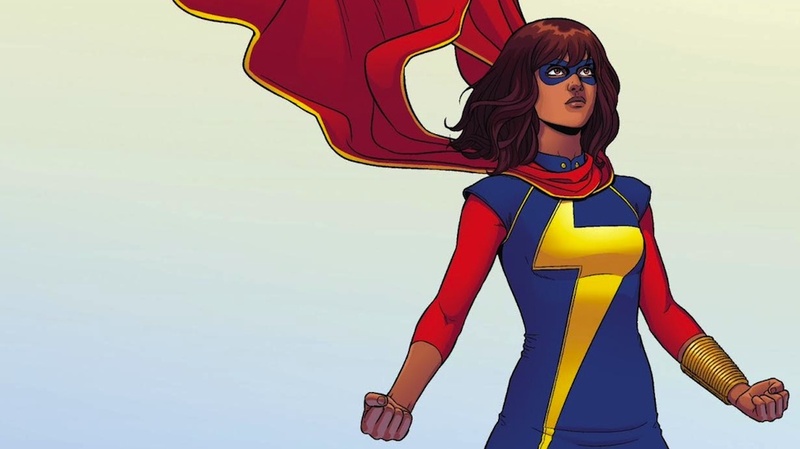 Now she’s shaking-up the comic book scene with Ms. Marvel -- a series featuring a 16-year-old Muslim shapeshifter and superhero, Kamal Khan. We caught up with Willow to discover what makes her writing habit successful, find out what she hears from her fans, and to get a peek inside the life of a game-changing storyteller. Q: Some writers have established rituals or rhythms around writing. Up every morning at 5, or 3 hours after coffee, or X number of words a day. What is your writing habit, and does it vary depending on if you are working on text-based or graphic novels? I try to hit 1,000 words a day or 5 pages of comic book script (which amounts to about 1,000 words). I very rarely hit that target, for what it's worth, but that's what I aim for. Since having kids, being a morning person has become a necessity...their school day is my work day, so whatever work I've got needs to get done between 8am and 2pm. So my routine is kind of pre-determined. Q: How does having access to a coworking space fit into your cycle of writing, editing, promoting, and public speaking? Going from a home office (I worked from home for 12 years!) to a coworking office was a big shift, but it's really helped my productivity and overall mood. At home, it's tempting to throw in a load of laundry or take a nap when I get stuck on a particular scene--to do things that feel productive, but aren't. At the office, I don't have that option. I have to knuckle down and work through it. And it's helped separate my work life and my private life, which I like. Q: With your character Ms. Marvel, the world of superheroes gets a real rarity -- a female, Muslim protagonist. Do you have any fan stories about how Ms. Marvel or your other characters have resonated with your readers? What's surprised me most are reactions from readers who've resonated with the series in ways I never expected. I've had really intense conversations with comics fans who are Orthodox Jews and Mormons and Catholics, but whose experiences balancing religion and secular life growing up were very similar to Ms Marvel's. And everybody's had the experience of being 16 and feeling out of place. When you're that age, every problem you face is the first time anyone in the history of the world has ever faced that problem. It's about finding the universal in the very specific. Q: We have to ask! If you could have a superpower, what would it be? I'd clone myself at will. I think I need to be approximately 3 people to live my life really well...one full time writer, one full time mom, and one full time promotional speaker. Barring that, I'd like teleportation. I think eliminating travel time would functionally accomplish the same thing. Newer PostPioneer Square: A Commuter's Paradise!